Positive reinforcement tells me that I should be finding snakes in Houston, TX. 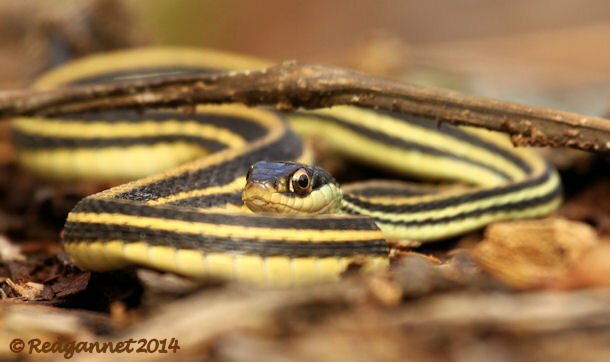 The first one was found simply by accident, but consistent herpetological luck at Houston’s Arboretum makes me look harder and longer until I find one. 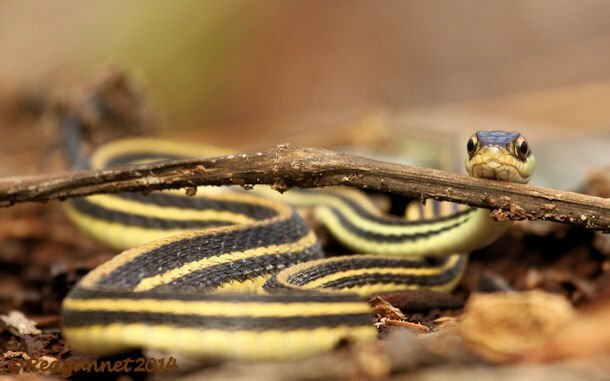 It took two visits during this trip, but I was rewarded with a very intimate look at a charming little snake. 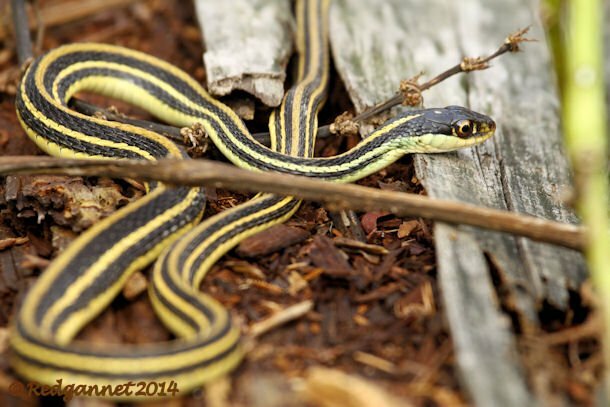 This is the Gulf Coast Ribbon Snake Thamnophis proximus orarius. It was sunning itself on a log beside the water and was very tolerant of me and other people passing by on a board walk just 6 feet away. The snakes at the Arboretum have surprised me by how approachable they are. A Broad-banded Water Snake was spotted by a troupe of Girl Guides and whilst much squealing and jumping ensued, the snake seemed quite unbothered by the fuss. 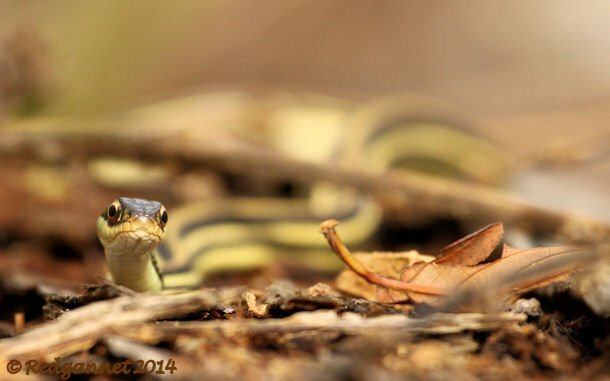 Ribbon Snakes are small slender creatures with excellent vision for diurnal hunting. They are commonly associated with water and can often be found in or close to ponds where their light weight barely disturbs the water lilies as they move across them. If you enjoyed this post and would like to see more great images of birds (there are snakes there too (and mammals and butterflies and dragonflies and plants…..)), go to our 10,000 Clicks section where you will find our big (and growing) gallery page here at 10,000 Birds.